“Get Out” Not an Oscar Film, but Nominated Four Times. To be completely honest, I was ambivalent about “Get Out”. The horror movie/comedy/racially-themed film was just the blend of too many genres for me. As a horror film, it barely scared me. It INTERESTED me, and I watched it from beginning to end without stopping, but it’s cerebral rather than scary. Daniel Kaluuya’s central performance though was engaging, if not downright endearing, as the victim of most of the horror that is to follow. The plot revolves around him marrying into what appears to be the perfect Connecticut WASP family of a VERY badly cast, plastic fantastic white chick Allison Williams. I didn’t buy this crucial conceit of this film, which was this couple’s endearing love for each other. Bradley Whitford and Katherine Keener are the girl’s parents, who quickly turn from Obama voters into some kind of Satanists. 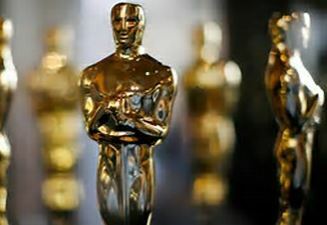 Set today, it seemed like they were all in a stock company of “The Crucible.” Oscar nominated debut director Jordon Peele just laid all his cards right out on the table from the get-out, so the “surprises” weren’t surprising at all, being telegraphed by the rather clunky script a mile off. There was a mildly metaphoric chair scene as Kaluuya suddenly sinks into the floor. It’s a big, comfy psychiatrist’s chair and the psychiatrist is Catherine Keener, who has made a career in the Indies comparable to Parker Posey’s. And I adore Keener. 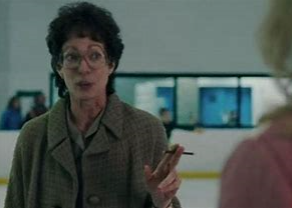 She’s one of my favorite actresses, but here, where she’s supposed to be sadistically mean, I had a hard time imaging her as evil personified. I just didn’t buy it. Does she look frightening to you as she’s pictured above in the first of many tea-cup stirring scenes? She looks the embodiment of hearth and home, which I guess is the point Peele is making by casting Everybody’s Mom/Sis/Girlfriend. She’s evil. But this is the scene the “chair scene” which is what you come away from the film remembering. Keener is a good enough of an actress to pull this difficult hat trick off. She’s good and evil and the same time. 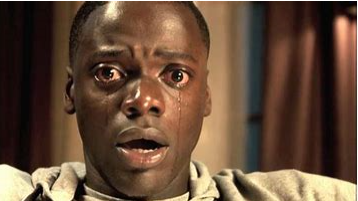 The above picture is Kaluuya’s frightened reaction that his prospective Mother-in-Law (Keener) is a witch. Or something of that kind. And while I admired the ingenuity of the film’s premise(Life in White America is a Horror for Black people) it didn’t hold me or move me. But there was that chair scene….Nominated for Best Picture, Best Actor, Best Director and Best Original Screenplay, I don’t think it’s going to win any of them. 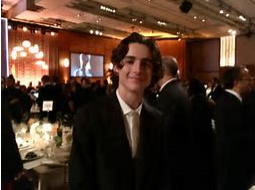 Timothee Chalamet Wins Best Actor from London Film Critics Circle! 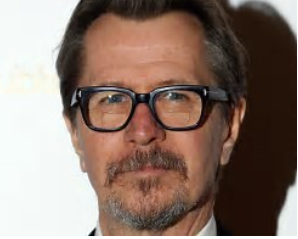 In an absolute earth-quake of an upset EXTREMELY young Timothee Chalamet of “Call Me By Your Name” won Best Actor over favorite front-running London legend, Gary Owens. Of “a Darkest Hour”. Both films were nominated for Best Picture. Owens played Winston Churchill to a fare-thee-well, and is probably the actors’ yard-stick by which all future Churchills will be measured. Owens totally transformed himself with a grueling four hour day IN THE MAKE-UP chair before he could step on set as the garrulous prime minister, who saved the world from Hitler. 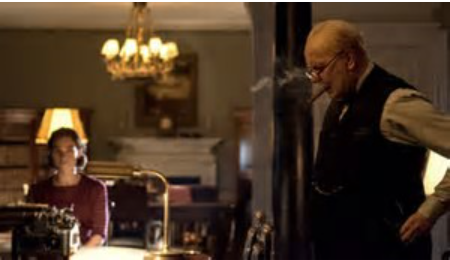 He is pictured above in his “War Room” with the beauteous Lily James (Rose, the flapper, of “Downtown Abbey,”) as his secretary. Whereas Timothee Chalamet an American native of Hell’s Kitchen and a graduate of LaGuardia High School of the Arts was all of 19 when he essayed the now legendary role of Elio. He speaks a little Italian in the film, but mostly he has to carry this entire lovely movie in which he has to come to terms with his nascent homosexuality in a gorgeous villa in Crema, Italy. He has to embody love struck youth, usually not wearing many clothes. He has to totally seduce the audience as well as Armie Hammer as his love interest and he does. The London Film Critics Circle is a group of VERY serious critics and they obviously fell under Chalamet’s extraordinary love affair with the camera. London Film Critics Circle name “Three Billboards” Film of the Year! 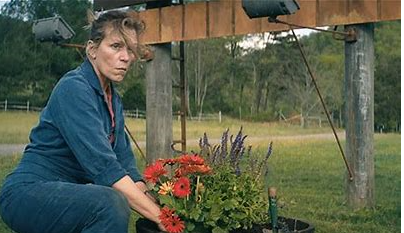 “Three Billboards Outside Ebbing, Missouri” just won big tonight in the U.K. at the London Critics Circle. Awards were handed out at the Mayfair Hotel and they should put up three billboards for the awards they won tonight. Best Film of the Year. 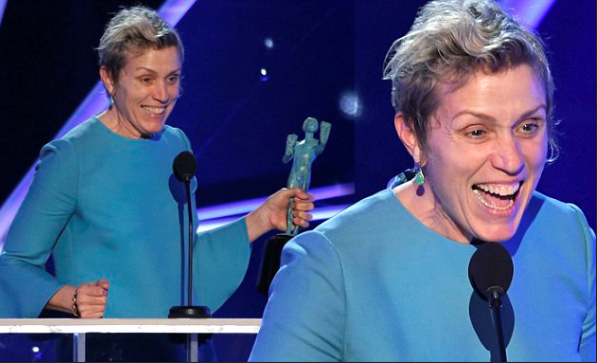 Best Actress Frances McDormand and Best Screenplay for Martin McDonaugh. Timothee Chalamet upset Gary Oldman’s Oscar apple-cart by winning Best Actor for his portrait of teenage love in “Call Me By Your Name.” Chalamet thanked his “tongue-wrestling partner” Armie Hammer, who plays his lover in the film. Hammer was not named in Blighty for Best Supporting Actor, but Hugh Grant was for “Paddington 2”! Which is not in the running here because it hasn’t been released in the U.S. yet. Sam Rockwell didn’t score here. though it’s interesting to note that BOTH Woody Harrelson AND Michael Sthulbarg were all three nominated in that category of Best Supp. Actor. And neither Rockwell nor McDormand were there, though of course Irish/Brit McDonagh was. 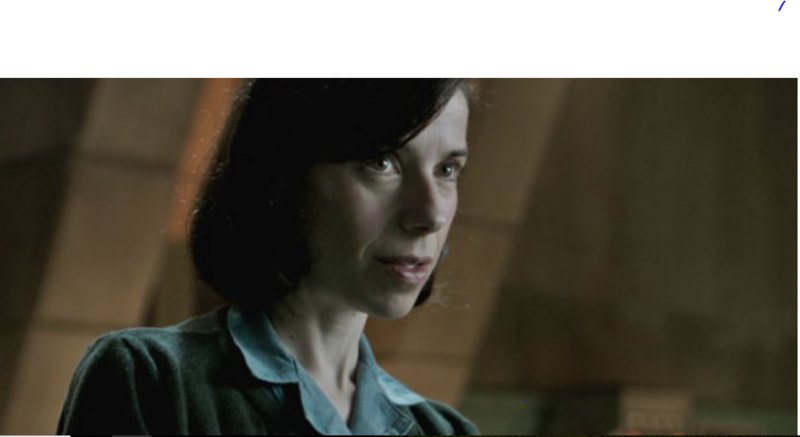 Sally Hawkins was named Best British/Irish actress for three films for “Shape of Water”, “Maudie” and “Paddington 2”. The London Critics Circle is not to be confused with the BAFTA awards. The first are press awards and the second industry. I awoke early and caught this annual ritual of early morning angst. .. Only time I watch GMA or get up this early. 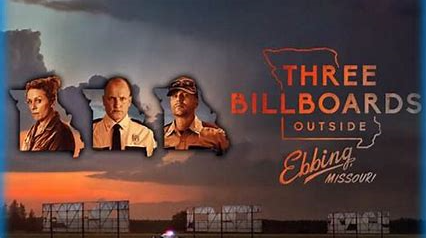 Dee-lighted to report that “Three Billboards outside Ebbing Missouri” got the lion’s share of nominations! 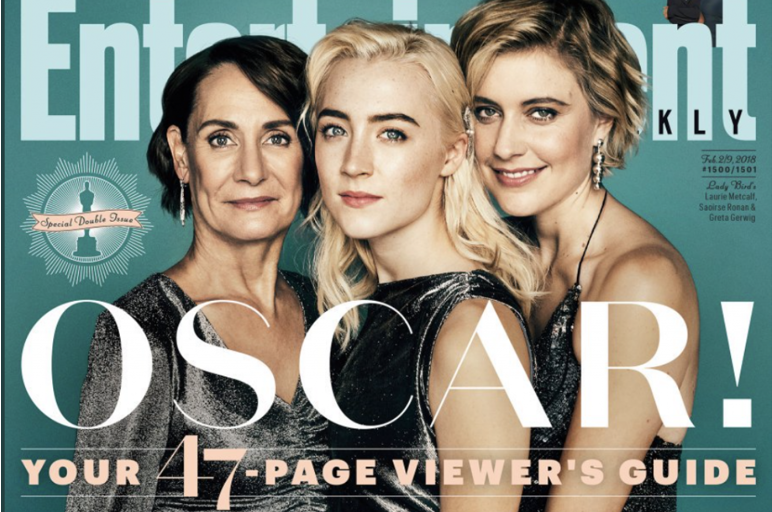 Frances McDormand(above at the SAGs) was Best Actress, Sam Jackson AND Woody Harrelson both got nominated for Best Supporting Actor. Martin McDonagh got nominated for two of the all three major categories, Best Picture as Producer, Best Original screenplay, and but not Best Director. Paul Thomas Anderson got nominated stead for super soppy “Phantom Thread!” Glack!! 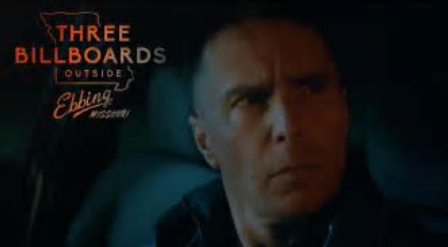 “Three Billboards” also got Best Score and Best Editing. That’s all! That’s Seven!I’m going back to bed! More soon! Thrilled for all! 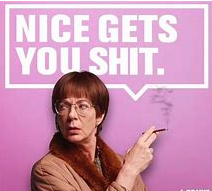 Except PTA.Congratulations!